Crafted from soft cotton and beautiful beach inspired patterns this set is the perfect addition to any first wardrobe. 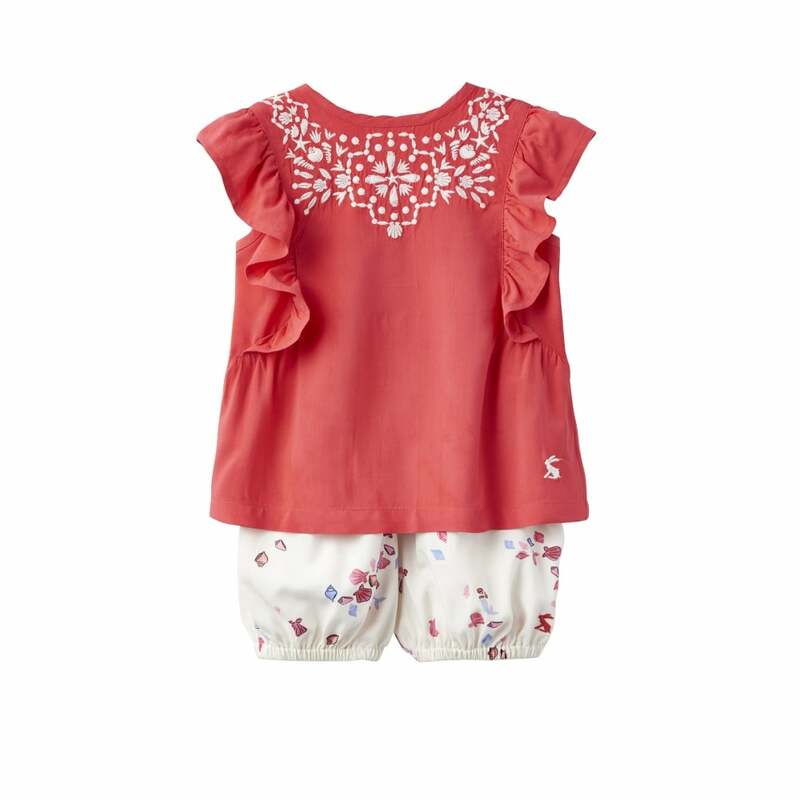 Made up of a cute frilled t-shirt and adorable shorts. Durable and comfortable this is the perfect outfit for your little one.